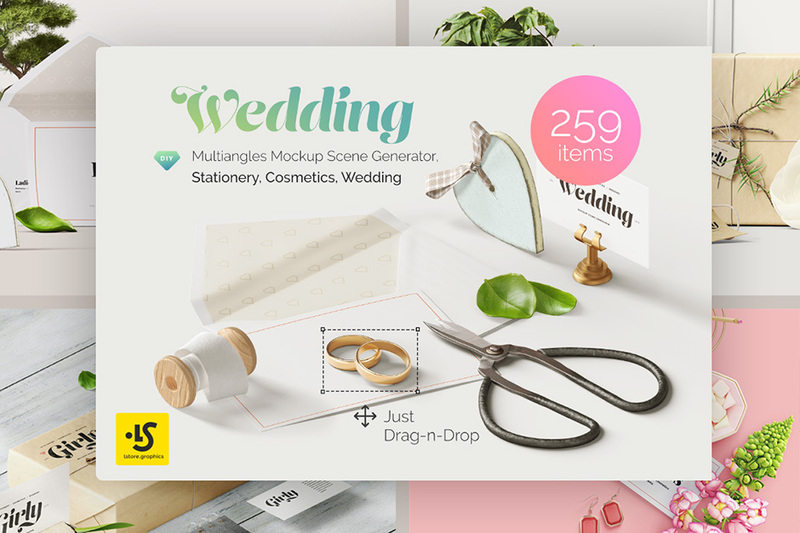 Very Beautiful Mockup Scene Generator in 3 angles and 259 high-res items. • Isolated. All the items are separate and have the same light, so that you can easily create your scenes. • Separate Shadows. All the shadows are separate to easily adjust contrast for different backgrounds. • Lots of adjustment layers. Use various effects to finalize your scenes. • Help File. Everything is simple and clear. File size is approx 15.04GB unzipped, offered as a 16 part download.